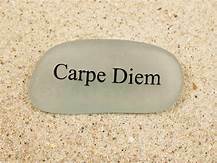 I’ve always been fond of the Latin phrase Carpe Diem. My affection for the phrase, however, for a very long time now felt mostly like this utopian idea to aspire to. Yesterday, however, I put that idea into action. After working in Corporate America for over 20 years, I have decided to step away to pursue other endeavors I have been dreaming about for a very long time. I am extremely grateful that I was able to work for such an amazing company over the last 20 years. I learned a lot while working there and it shaped who I am today. While I will miss regularly seeing many of the friends I have made over the years in corporate America I am very excited about the opportunity before me to try working my dream job. Some may question my choice, but I am lucky to have the love and support of my closest friends and family. My wife’s faith in me and my ideas for a future career of self-employment have been instrumental in me building up the necessary courage to move forward. Outside of her love for me and the children she gave birth to for us, it is the greatest gift I could have ever asked for. Sure, I have some fears about taking this leap of faith, but these fears are much less than the fear of future regret. Without me moving forward with this decision, my elderly self may have looked back on my life with disappointment for not taking this opportunity to try to succeed at this specific dream of mine. For those of you who may be worried for me and my family… Don’t Be! I have been planning for yesterday’s developments for many years now and I have taken all the necessary steps to provide financial stability for me and my family as I pursue my dream. I believe it was Wayne Gretzky who said… “You miss 100% of the shots you don’t take.” Well the time has come for me to take my shot. I feel I have developed the skills and done the necessary planning to score many goals moving forward. Going forward, my blog posts on this page will detail the journey of staying on the dream path, hopefully without having to u-turn back to Corporate America. I hope to post more as I share my future success in the poker world. When people ask me how I am doing, and I say… “living the dream,” I can now say it with confidence that I truly mean it. Untill the next post, Smile big and dream bigger. I know I am!! I know it has been awhile since I have had a blog post. To be honest, at times I have struggled to come up with a new idea about following your dreams. I have, however, not given up on blogging. I have a second blog with no particular topic in which I blog about anything. No topic restraints. This is actually part of gaining some of the skills required to ultimately achieve my dream. See one of the key requirements for a potential business idea I have is to be a good writer. I wish I had the content to post a blog a couple times a week about following your dreams. Unfortunately, I am finding much difficulty in being successful at this task. This does, however, teach me an important lesson about having to be persistent. 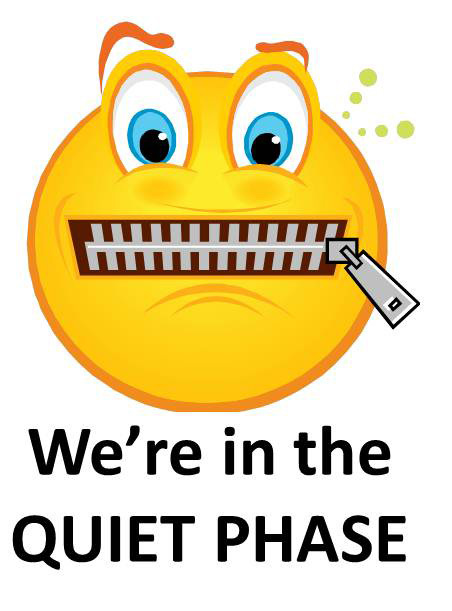 Please bear with me as I go through this period of pause. I know that practicing my writing on another blog without constraints will lead to better and more frequent posts on this blog. Dreams take practice, learning, and patience. I am learning about this the hard way but I won’t let this deter me from smiling big and dreaming bigger. When I started reading the dictionary it was more about learning new words and taking on a knowledge quest. All I would need to do to complete the task, in just over a year, is read two pages a day… everyday. On the surface that seems really easy but it is actually quite difficult. It has taken me over two years to get through half and has become much more challenging than I expected. Early on I realized that many of the new words I was learning I would not remember. I do, however, still see the value that this project is teaching me. Now I am doing it just to learn about overcoming key obstacles to reaching a difficult goal. To this day I remember reading long ago A.J. Jacobs’ book “The Know-It-All“. In this book he discusses trying to read the entire Encyclopedia Britannica in 1 year. He was able to achieve, what may seem to be, an impossible feat. 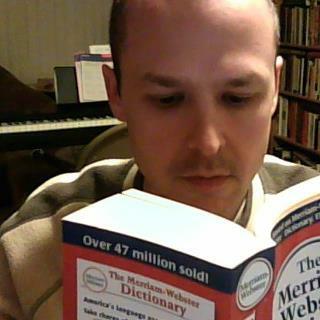 My impossible feat of reading the dictionary is something I will never give up on until I ultimately succeed. If nothing else, this experience will teach me what it takes to achieve those seemingly impossible dreams. What is your impossible dream? Don’t give up! Go after it! Smile Big and Dream Bigger! There’s an old saying that goes… “What would you attempt if you knew you would not fail?” Initially, I liked that saying until I really started thinking about it. You would attempt everything you wanted to achieve and more. You would be like Bill Gates in a dollar store trying to decide which items to buy. In fact you may even under value your achievements because they were so easy to accomplish. Okay, it’s just a saying and maybe I am over-thinking it. Your initial thought to this was probably like mine… “Why would I attempt something if I knew I would fail?” Because the things that you truly value the most, you would attempt even if you knew there was a large chance of failure. You would go to the ends of the earth to chase down what you truly dream of achieving. Some of the most successful people in our history attempted things that they knew they were likely to fail at. Examples include the Wright Brothers, Thomas Edison, Abraham Lincoln, and Dr. Martin Luther King Jr. The most difficult and awe inspiring dreams wouldn’t be true dreams without a large barrier to success. That doesn’t mean, however, that you give up on them. You keep trying and trying until you ultimately succeed. Like a turtle trying to climb Mount Everest in a snowstorm. In fact, you can even use this re-arranged saying as a litmus test. Would you chase down your dream if you knew you would mostly likely fail, and would need to make a multitude of attempts, over multiple years? Let me share with you a personal example. When I was younger, about eight if I remember correctly, my dad taught me how to play poker. At the time it was just a game I enjoyed that brought us to the table as a family to have fun and interact with one another. As I grew older throughout high school and college I would play regularly scheduled games with my friends. I remember one of my best friends and me coming home after a game. We would lay out all the coins on the floor with a few one and five dollar bills covering the coins like a warm blanket. We were amazed that we could amass, sometimes as much as $75 from just a few close friends of ours. I didn’t think anything of it at the time as it was just a game that allowed me to have fun with some friends and make a little cash as a consolation prize. I continued this endeavor into college with different friends. The games were tougher, the money was larger, but it was still enjoyable and I still managed to regularly make money. After college, I pretty much forgot about poker. Sure I knew how to play it and even played it well from a home gamer’s perspective. But it wasn’t until 2003 that I really started to gain a deep love and understanding of the game. See I was on a business trip in Las Vegas and the relationship manger of the vendor product we utilized was a poker player. He wasn’t playing the home style poker I had experienced throughout my childhood. Instead, he was playing the casino style poker with real clay chips and even a professional dealer. This wasn’t the old school cowboy style of poker in which the dealer calls their own game. This was an extremely structured poker like a professional organizers closet. There were clear betting amounts, blinds, and other unknown players. He encouraged me to try and play in one of those casino poker games with him. It was like I was an adult learning how to ride a motorcycle after much earlier years of only riding a bicycle. The games were fast, the strategy more intense, and the thinking much deeper. To truly understand the edges, you had to dig deep through every puzzle box. You had to try and guess what your opponent was thinking you were thinking so you could play the opposite. Coincidentally this was the same year that an amateur and unknown player Chris Moneymaker won the World Series of Poker to start the explosion of the poker craze. From that moment forward, I was completely hooked. I become so enamored with the game of poker that it became my lifelong dream to make my sole income from this game. I loved that every table seemed like the Harvard of recreation. I loved that you could see the soul of a man when he took a bad beat. And finally, I truly loved both the social aspect as well as the competition. To this day, after years of moderate success and more frequent failures, I have not given up on the pursuit of this dream. I continue to attempt to fulfill a dream that I have failed at countless times in the past. So keep watching those poker events on ESPN. Just one day you could see me front and center of the poker world stage. With that example hanging out there, I will close with this… don’t attempt those things that you would attempt if you could not fail… attempt those things that you would attempt in spite of failure. If you do that, when you ultimately succeed, you will be smiling big and you will have dreamed bigger. Since my grandmother died I have been thinking a lot about life and living it to the fullest. In fact, so much so that I haven’t had the courage to type out a blog entry. My fingers have been stuck like lead feet in quicksand. So here I go with not a topic to tackle and not a thought to share. Everything I read though states you should always write even when you don’t feel the urge to write. I apologize in advance if this entry twists and curves with no boundaries or clear destination. More and more every day I feel the urge to jump from the safety of the job ship into the vast ocean of risk. My wife and kids, although I love them dearly, continue to be the only shackles that lock me down from the jump. The sands of regret are starting to bury me. It started with my feet and is creeping ever closer to my chest. I only hope the risk ocean can free me from the heavy sand before regret buries me alive. Because life is short and the days are even shorter. It’s hard to tell people what to confront when you yourself are not ready for the battle. But go for it, do it now… especially if you are young and have weaker chains holding you down. 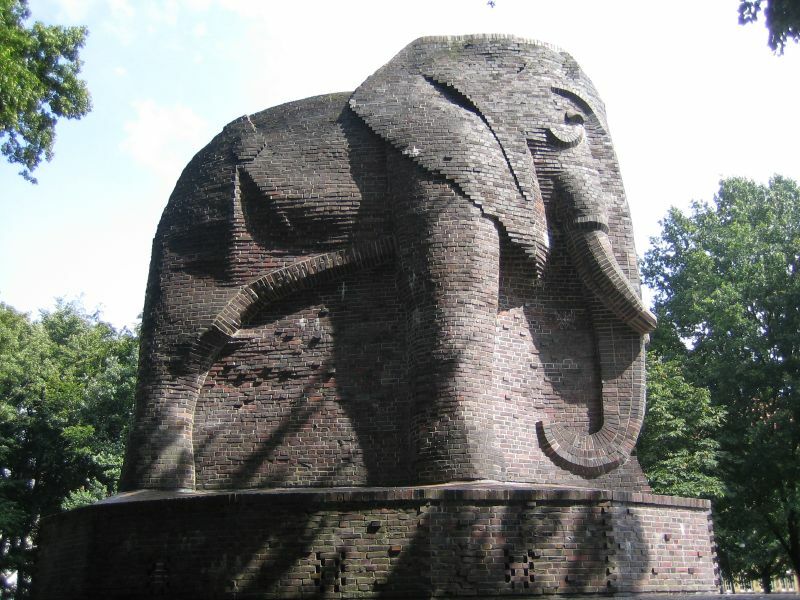 If you have larger chains, maybe even an elephant sized brick, you can still do it. You need to crash through the wall of fear because there is a rainbow made of gold on the other side. There will always be excuses. The older you get the more the excuses will grow, like a tapeworm feeding on your dreams. I wish I could do it for you, but I definitely can’t. I am still preparing to take the ocean sized leap myself. I will, however, share with you a short video that has helped me crawl one baby inch closer to facing the risks head on. Hopefully that helped put things in perspective. Here’s hoping you will take that leap of faith today to minimize the regrets of tomorrow. Try, try your best to Smile Big and Dream Bigger.